Forum member, Mike Russell, Chief Operating Officer, Central Innovation discusses how the evolution of manufacturing, is driving engineering 4.0. The manufacturing industry has come a long way starting from the Industrial Age, through the information age up until the digital age. As we steadily approach 2019, we are now in the Automation age popularly known as the Engineering 4.0 era. Engineering 4.0, characterised by automation and the internet of things (IoT), is propelling digital transformation in the manufacturing industry. The intersect of mechanical and electrical design engineering, alongside simulation and data management, has seen conventional document-centric design and production process evolve to model-centric smart manufacturing. Evidently, the manufacturing industry is undergoing a dramatic change with increasing demand for the delivery of quality products with minimum go-to market time. According to Statista, the industrial manufacturing industry is expected to invest more than US$175 billion in Industry 4.0 by 2020 . Therefore, it is important the latest technological advancements ensure efficiency and remain competitive. Big Data, IoT, engineering simulation and additive manufacturing are the key factors that are driving the fourth Industrial revolution. IoT is pivotal in the evolution of Engineering 4.0 as it helps connect the entire manufacturing ecosystem with real-time data from interconnected devices optimising the manufacturing process. With Big data and analytics, companies can better organise, analyse and successfully streamline information on every stage of production. Engineering simulation allows workers to create realistic, three-dimensional images through virtual and augmented reality, which speeds up the product design process and reduce the time to market. Additive manufacturing that includes both 3D and 4D printing allows engineers to design while CAD software makes any changes a mouse click away. Leveraging IoT and automation to undergo predictive maintenance can accurately predict failure and reduce downtime for maintenance. With the changing paradigm, new age technologies such as CAD and BIM is critical to keep up with the changing demands of the industry. Businesses are lagging behind industry standards driven by faster engineering time and more complex product design process. According to a Deloitte report, only 2 percent of Australian leaders are highly confident that they are ready for the changes associated with Engineering 4.0, in comparison to 14 percent of their global counterparts. On the other hand, 71 percent of Australian executives (compared with 40 percent globally) say they have people in place with the right skills to maximise their potential—the highest percentage of any country surveyed. In the current digitised and connected industry, it is imperative to increase customisation capabilities and improve production of bespoke goods at small volumes using solutions like CAD and BIM. 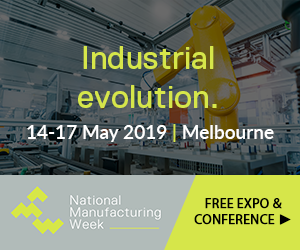 As customers constantly look for high quality products and quick turnaround time, businesses that integrate the next generation manufacturing technologies can leverage from the efficiencies of new processes to allow product customisation. To keep up with digitisation in Engineering 4.0, current employees will need to prepare for more value-added responsibilities with proficiencies in fields such as augmented reality, big data and robotics. It is important to invest in up-skilling the faculty to be able to leverage the new technology and adapt to its implications. Using collaboration platforms and tools will make it easy for employees to access data remotely and enable organisations to attract potential global talent in the future. With new advanced technologies in place and demand to adapt to the market changes, Engineering 4.0 offers opportunities to optimise the production cycle and be efficient. For those who wants to keep up with the rapid advances in technology, it’s time to embrace the change and the huge opportunities that the digital revolution has to offer. Mike Russell is COO of Central Innovation. His company provides software, hardware, systems and people solutions to architectural, construction and manufacturing industries.